With only three cinematic features under his belt, Ryan Coogler has proven himself to be one of the most impressive directors working today. From his impressive debut with 2013's heartbreaking Fruitvale Station, Coogler followed it up 2 years later with Creed, an engrossing tale about the weight of legacy. Now that he's brought Wakanda to the big screen, Cooglers body of work has shown a progression in budget and scope, while never sacrificing character, themes, or plot. 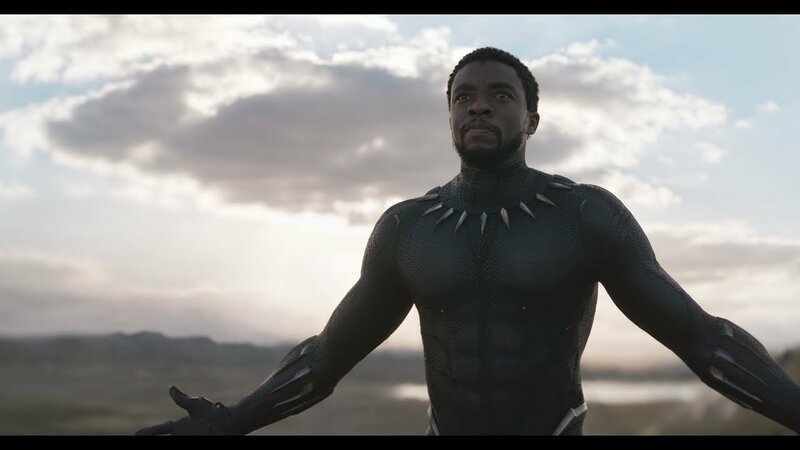 Newly appointed as ruler of Wakanda, in the wake of his father's death, T'Challa (Chadwick Boseman) must defend his land and do right by his people. However, his rule is challenged by enemies from inside and outside the country, including a mysterious warrior called Erik Killmonger (Michael B. Jordan). In the lead role of T'Challa, Chadwick Boseman manages to do strong work in embodying his character. At the heart of him are his fears and struggles about his place as ruler. He wants to do what's best for his people, so he grapples with conflicting ideas between what's traditionally been done by previous rulers, and what he believes should be done for the future. Opposing him is Erik, whose many kills has earned him the nickname of Killmonger. A calculating and tactical warrior whose experiences has formed his mindset, leaving him under the belief that he should rule Wakanda. His motivations are fantastically depicted, allowing for viewers to emphasise with him, and understand his motivations. Michael B. Jordan continues his strong collaborations with director Ryan Coogler, managing to perfectly sell the villainous glee he takes in his actions, the tactical side of his character, and even the human moments which succeed in eliciting empathy. His character is essentially the Magneto to T'Challa's Professor X, as the two want the same outcome, but take differing paths towards it. As Shuri, the genius sister of T'Challa, Letitia Wright is an utter joy to be in the company of. The creator of numerous inventive gadgets, she acts as the Q to Boseman's James Bond, while proactively joining in the battle wherever necessary. The Bond comparisons don't stop there, with a mission to Busan feeling inspired by the very series. One could make an argument for Lupita Nyong'o playing the Bond girl role, but Nakia is a more independent character in her own right. She isn't defined by any potential romance which occurs in the film, it's just an additional aspect of her character, a spy who regularly operates in the outside world. Danai Gurira portrays Okoye, the stoic head of the Dora Milaje, the special forces group of Wakanda. Her loyalty to the throne is unquestionable, done while delivering bouts of dry humour, and proving herself in combat, while even managing to weaponize a wig. Winston Duke impresses in his pivotal role as M'Baku, leader of Wakanda's mountain tribe, the Jabari, while Martin Freeman brings a warm and friendly presence as Everett K Ross, even if the character could've been excised out of the film. Nobody in the cast is more delighted to play their role than Andy Serkis, who's overjoyed to chew the scenery in reprising his role as Ulysses Klaue. More than just the films setting, Wakanda feels undoubtedly like a real place. An Afro-futuristic landscape that's bursting with life, granting a look into the lives of the everyday people, as well as familial politics which could be likened to Game of Thrones. Much more character has been put into this location than Asgard had over an entire trilogy. Coupled with Rachel Morrison's sumptuous cinematography, and Ludwig Göransson's unique score (curated by Kendrick Lamar), these elements superbly work together to sell the unique vision of director Ryan Coogler. In the midst of it, he manages to weave in pertinent social commentary, delivered in a compelling way which will strike a chord. Considering it's an MCU film, of course there's humour included. It wonderfully fits into the films narrative, never threatening to overwhelm things, or undercut the serious moments. There's iffy effects work throughout, which are especially noticeable in the final act, but none of it hinders the action scenes. No matter how many characters join in the battle, we completely understand what they're each fighting for, and what their motivations are. Considering how many blockbusters can get lost in their larger than life battles, it's worth praising how Coogler never loses sight of what's important amidst the battles. Pushing the boundaries of blockbuster films, Black Panther is nothing short of a cinematic triumph. Ryan Coogler elegantly blends relevant social commentary with engaging superheroics, none of which overwhelms who the characters are, or what drives them.